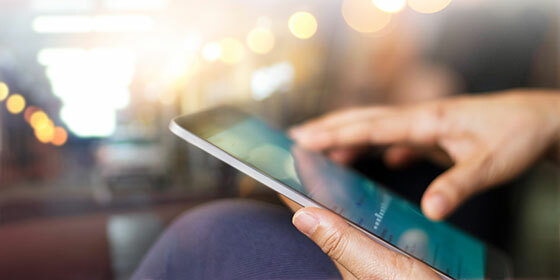 Banks need to focus on an open, lean architecture without too many silos, tightly integrated customer-oriented functions with back office functions, and a spaghetti structure, in order to achieve superior customer experience. Customers want to purchase products and view accounts using applications as well as being able to use their information interchangeably. However, legacy systems can’t support this. The lack of interconnectivity between systems is affecting the creation of new revenue. These interconnections between potential products are only achieved when data is easily accessible from core systems to all departmental applications. 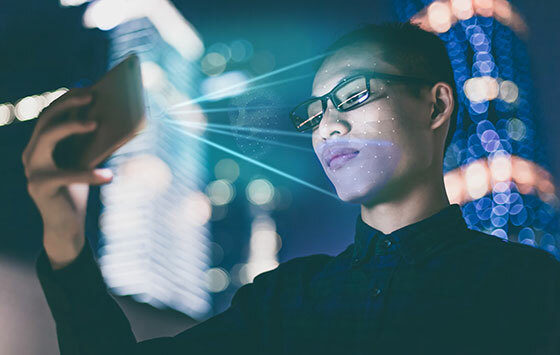 Our view is that rather than focusing on what the customer sees, it is more effective to focus on all three layers of the core banking platform – front, mid, and back — or as we describe them the presentation layer, client and orchestration layer, and product layer. This three-tier digital banking architecture will eventually proof to be most viable. A presentation layer of information for customers, also known as the front-end layer. A client and orchestration layer focused on handling all client related processes and information that orchestrates between the presentation layer, the back-end and the fintech ecosystem. This layer contains features such as CRM, BPM, document management, security, etc. In other words: this layer contains all the data related to customers. A product layer focused on handling products and transaction, containing no customer information. This layer supports full configuration of banking products without any coding. A future-proof architecture also contains an API layer so it can be integrated with internal or external systems, allowing a ‘plug and play’ approach and unlocking the potential of the fintech world. This layer is ideally adapted to a ‘marketplace banking’, whereby banks offer a range of in-house and third-party innovations, products, and services. 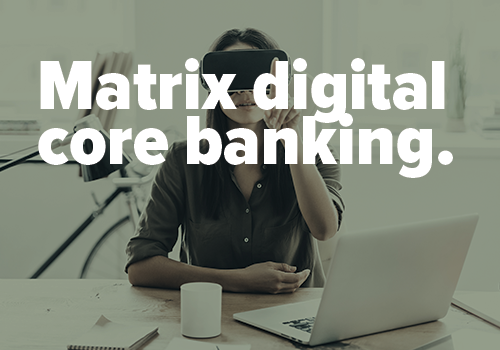 Matrix is a digital banking platform that is built on the architecture as described above. It uses state of the art technology to offer functionalities that any bank or financial institution needs to enable customer intimacy. 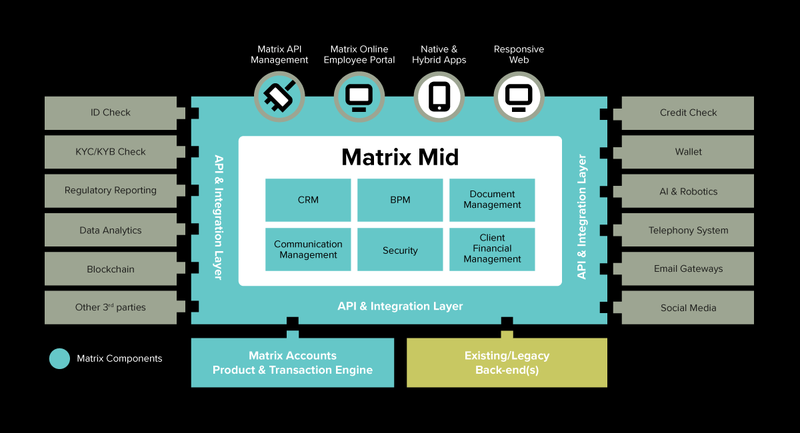 Matrix provides the building blocks, including business process management, customer relationship management, document management, communication management customer financial management, business reporting, security, and open APIs needed to build a truly customer-centric, agile, and digital bank and raise customer intimacy. Download the white paper and discover how you can fully unlock the potential of the fintech ecosystem.